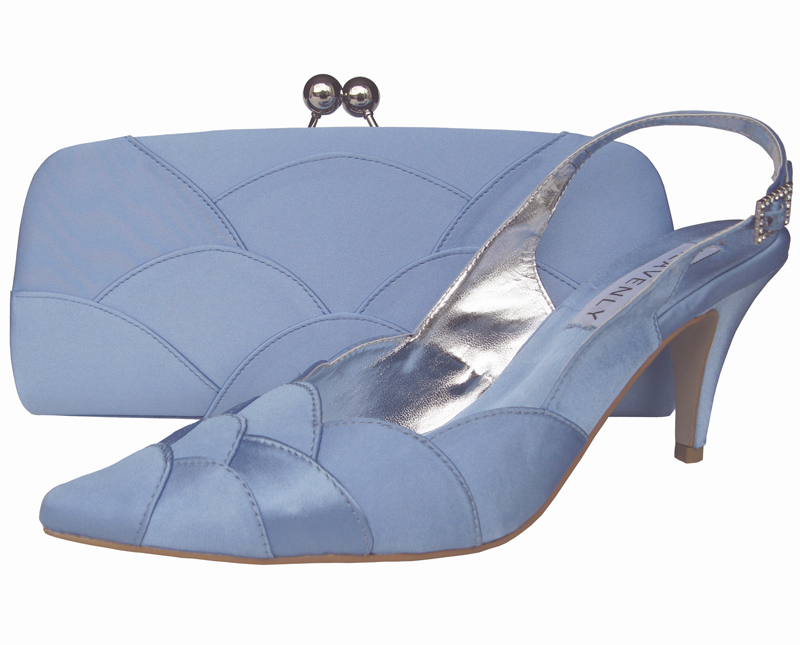 Pretty pale blue periwinkle satin sling back shoe by the designer Heavenly. An elegant closed toe shoe with feature scalopped detailing across the foot. Slingback ankle fastening for elongating your legs and a diamante encrusted buckle for that touch of sparkle. 3" satin covered heel. A matching clutch bag is also available.